Welcome to the How to Do a VAT return in Sage 200 blog. 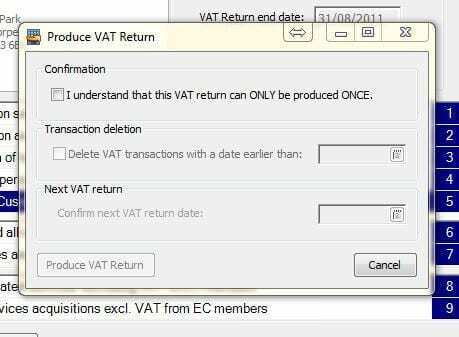 This blog will show you the ins and outs of VAT Returns, in detail with screenshots. This system is simple and requires no reconciliation other than making sure all transactions are entered into Sage 200. You can even submit directly to HMRC but this does require some set up – our next article perhaps! The VAT transaction file does not require transactions to be updated to the nominal, it will register transactions even if they are in deferred postings. 1. Check all postings for the current VAT period have been entered. 2. Go to Nominal Ledger/Period End/VAT Analysis. 4. Select the Current Period Return tab. Any of the blue summary lines can be clicked on and transactions checked within that section. 5. 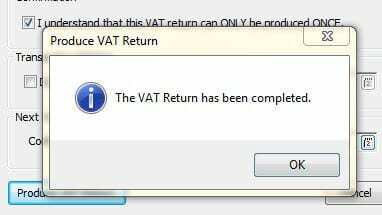 Once all is OK, select the Produce VAT return button. 6. You will be advised that this can only be run once. Tick and accept this box. 7. Enter the next VAT Return date and Produce the VAT Return. 8. You will be advised when the Return has been completed. 9. This will produce 2 files either on the screen or into the spooler (Depending on your chosen output mode) – The VAT Return and VAT Transactions. We hope this blog was useful. 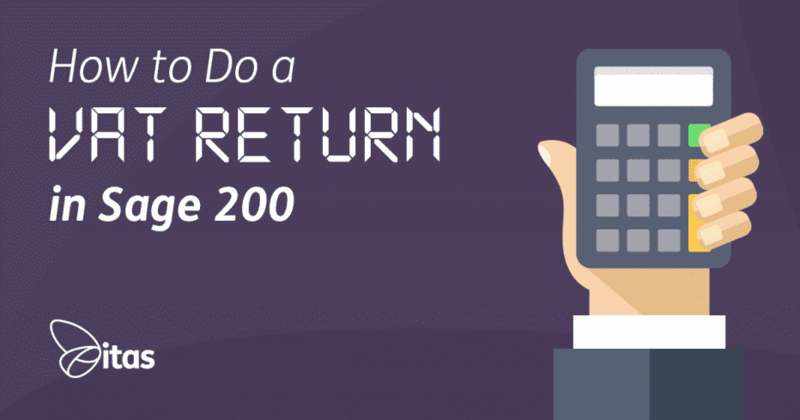 If you are still unsure of how to do this procedure or would just like some more help, then click here to view our full library of Sage 200 User Guides and How To’s. Are you still struggling? No problem, drop us an email to speak to our friendly Sage 200 Support team for more information on support@itassolutions.co.uk.